The Blue Jackets recently brought back their cannon jersey. 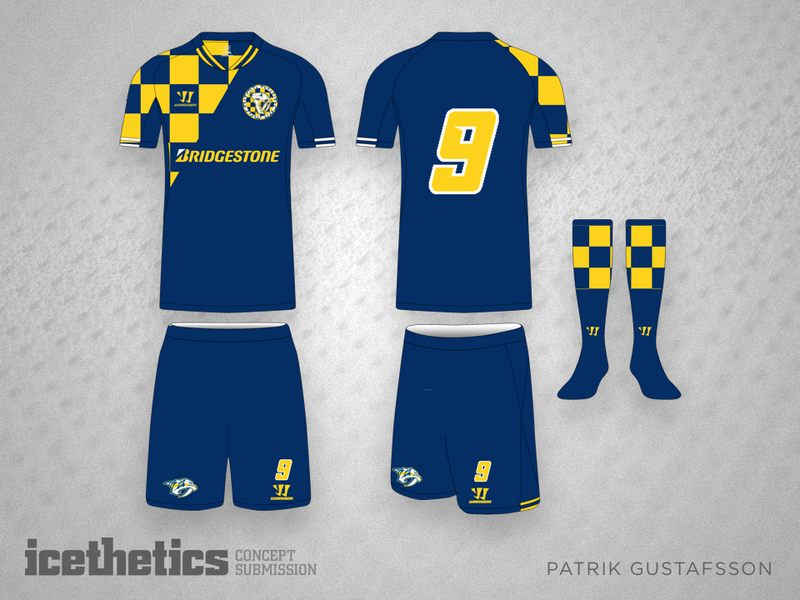 In this concept from the vault, Patrik Gustafsson imagines it in the team’s primary colors. 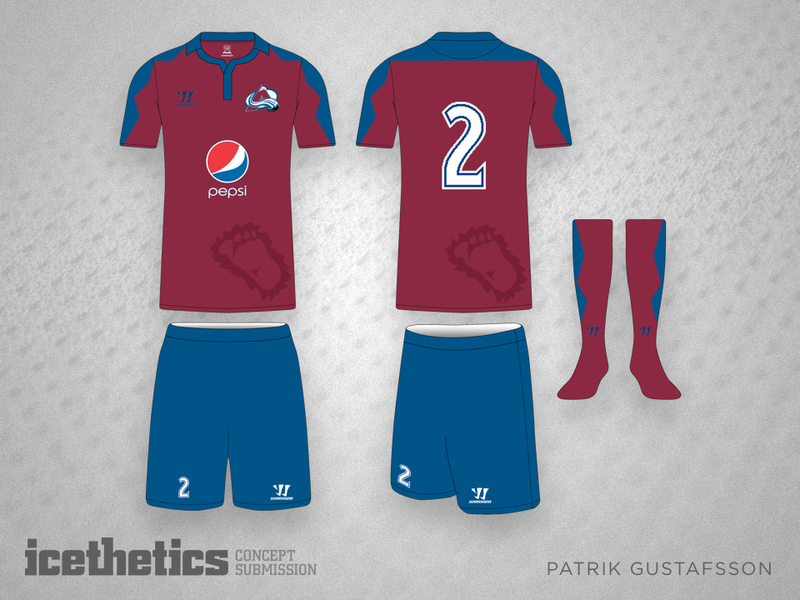 Patrik Gustafsson imagines seven soccer uniforms based on NHL teams. What do you think? 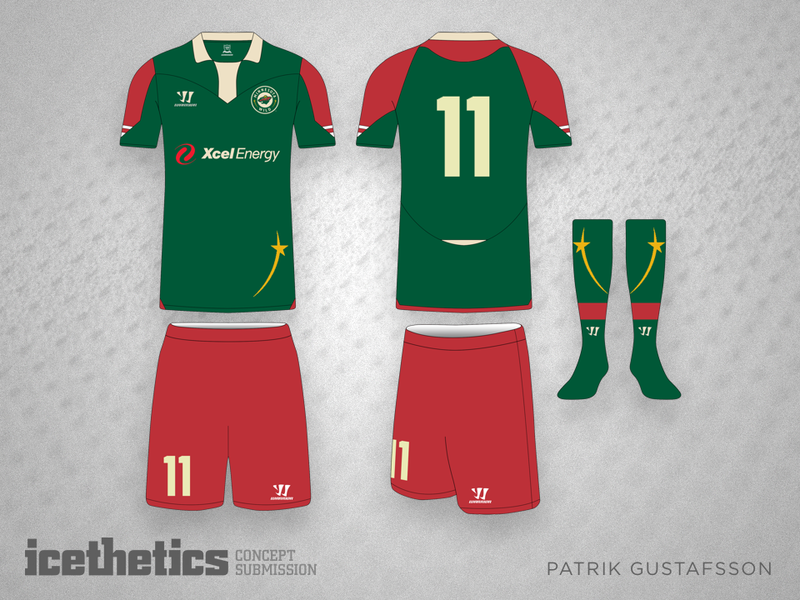 Did the Dallas Stars miss an opportunity by not creating a jersey similar to this concept from Patrik Gustafsson? The star design made their '00s uniforms pretty awesome. This is a cool third jersey idea for the Washington Capitals. Patrick Gustafsson is mixing a handful of eras in terms of colors and logos, but it kind of works. And whatever happened to sweaters with white shoulder yokes? 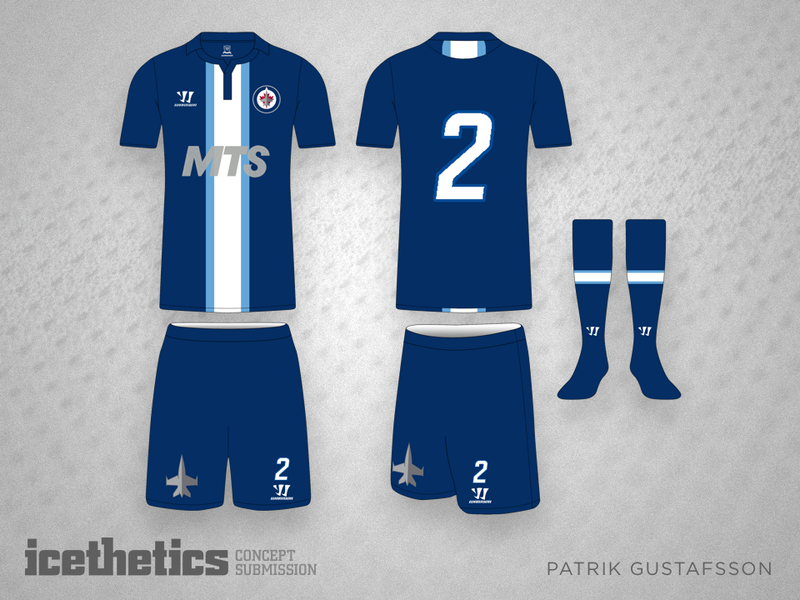 Throwback Week wraps up today with a pair of concepts for the teams Quebec has lost. Patrik Gustafsson has mixed the Nordiques with the Bulldogs to create his set. And here Petr Hajda has designed new logos for the Nordiques — obviously at a time when it seemed possible the Coyotes could move north.